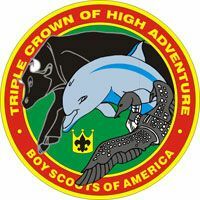 The Triple Crown of National High Adventure award was created in 1995 and later the Grand Slam of National High Adventure award was created in 2014 by the Charles L. Sommers Alumni Association, Inc. to both promote the Boy Scouts of America's National High Adventure programs and help identify those Scouts with a thirst for high adventure who may be interested in serving on the staff of Northern Tier High Adventure Bases and other National High Adventure Bases. The Boy Scouts of America's National High Adventure Bases are: Northern Tier High Adventure Bases (Northern Tier), Philmont Scout Ranch (Philmont), Florida National High Adventure Sea Base (Florida Sea Base), and Paul R. Christen National High Adventure Base at The Summit (Paul R. Christen). The first five Triple Crown of National High Adventure awards were presented to members of Explorer Post 525, from Edgewood, Washington in April, 1996, and the first Grand Slam of National High Adventure Award was presented to Owen Buzan, an Eagle Scout with five palms from Troop 1550 of Leesburg, Va.,in 2015. Recipients may only earn each award once and receive an award patch reflecting the National High Adventure Bases where they participated in a high adventure program. 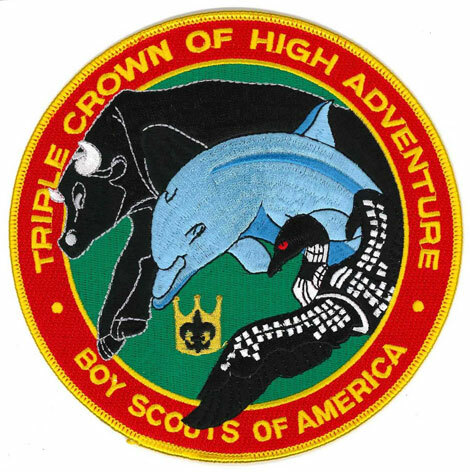 The symbols on the patch are a loon for Northern Tier, bull for Philmont, dolphin for Florida Sea Base, and black bear for Paul R. Christen. 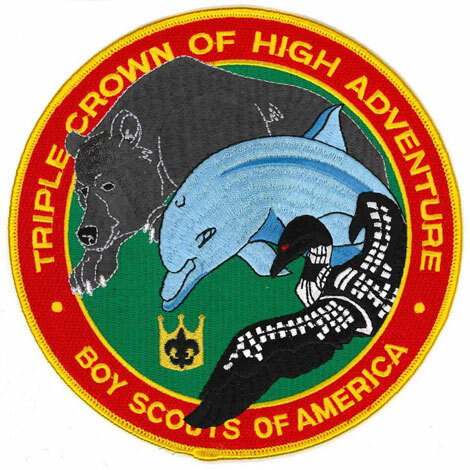 These special patches honor those who have participated in at least one qualifying high adventure program at any three of the BSA's four National High Adventure Bases. Different versions of the patch are presented depending on where the award was earned, as shown below. 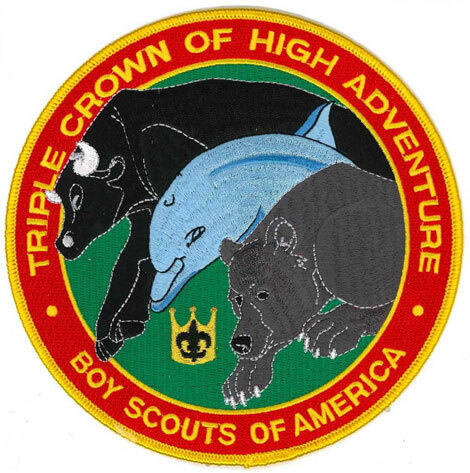 Recipients of the award receive one Triple Crown (3-inch) award patch reflecting the three National High Adventure Bases where they participated in a high adventure program. 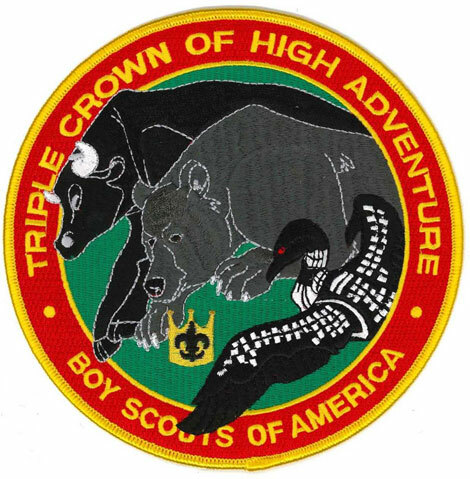 A different special patch honors those who have participated in at least one qualifying high adventure program at all four of the BSA's National High Adventure Bases. Recipients of the award receive one Grand Slam (3.5-inch) award patch. 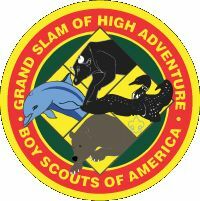 Both the Grand Slam of National High Adventure Award and Triple Crown of National High Adventure optional large (6-inch) patches are also available for purchase. A complete list of qualified high adventure programs at each of the National High Adventure Bases is available by viewing the Qualified Programs document.